This entry was posted in The Lodge on November 6, 2018 by admin. 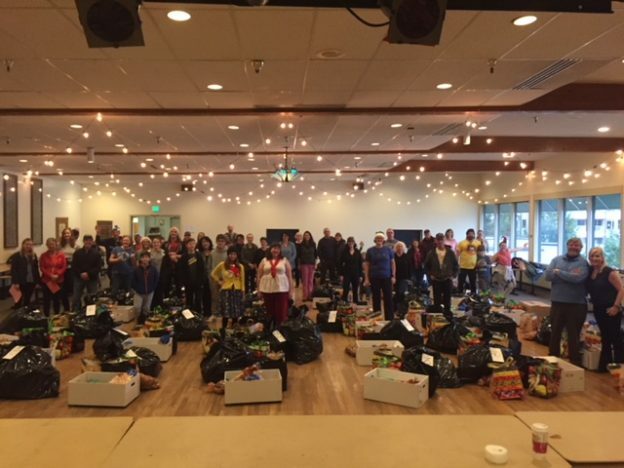 Our 2018 Christmas Baskets for the Needy Program kicks off the day after Thanksgiving. 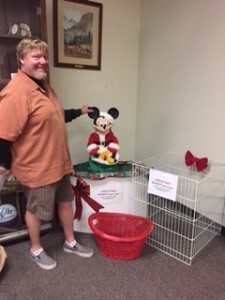 We’ll be collecting donations for the baskets at the Lodge November 23 through December 13th. (See shopping list below. Cash donations are also appreciated to purchase perishable items). DECEMBER 15TH – 7:30 A.M. – LET THE FUN BEGIN!! Assemble all baskets first. When they are complete, deliver baskets. Deliver: drivers needed to deliver the baskets. Drivers need to partner with someone, no one goes solo. We will find you someone day of if you don’t have a partner. Clean up: starts as soon as all baskets have left the lodge hall. Those interested & available please come to the lodge on the dates/times listed above. Thank you. Johnny Muzevic/Chairman. CHRISTMAS BASKETS provide through your generous donations, items to prepare a traditional ham or turkey dinner and toys for 50-70 families. Collection boxes for non-perishable items will be in place Thanksgiving weekend outside the social quarters. Monetary donations check can be made at any time. Make checks payable to Ballard Elks, and note: Christmas Baskets on the check. Leave checks and cash with the bartender on duty or mail/deliver to the office. Residual items from this program will be donated to the Ballard Food Bank on December 15th after all baskets have been confirmed delivered. THANK YOU!!! 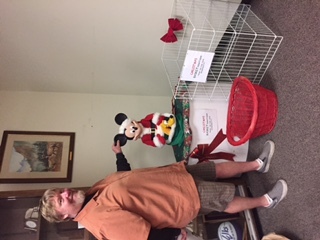 This entry was posted in Events, The Lodge, Charity on November 5, 2018 by Brad Hole. Want to get to know other lodge members and have some fun? Read about upcoming volunteer opportunities and email volunteer@ballardelks.org for more info. Set-up, help sell raffle calendars, work an Elks info table, clean-up and overall event management help. Fun way to meet other members while helping to host our membership social downstairs on the patio! Please email mlbogey@comcast.net or jill_yerkovich@yahoo.com if you can help out, even for only one hour. 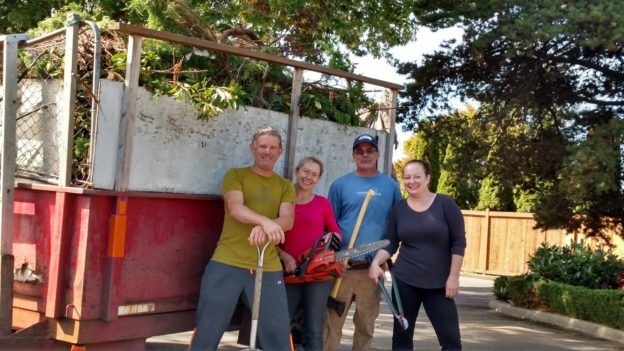 4-6 volunteers. 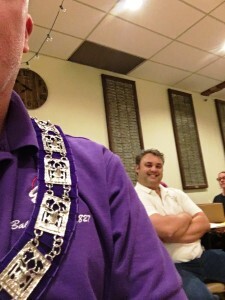 See description of duties in Monthly Initiation Dinner. 1 (or 2) volunteers for a couple of hours to remind attendees to vote. Tally the votes at 1:30. 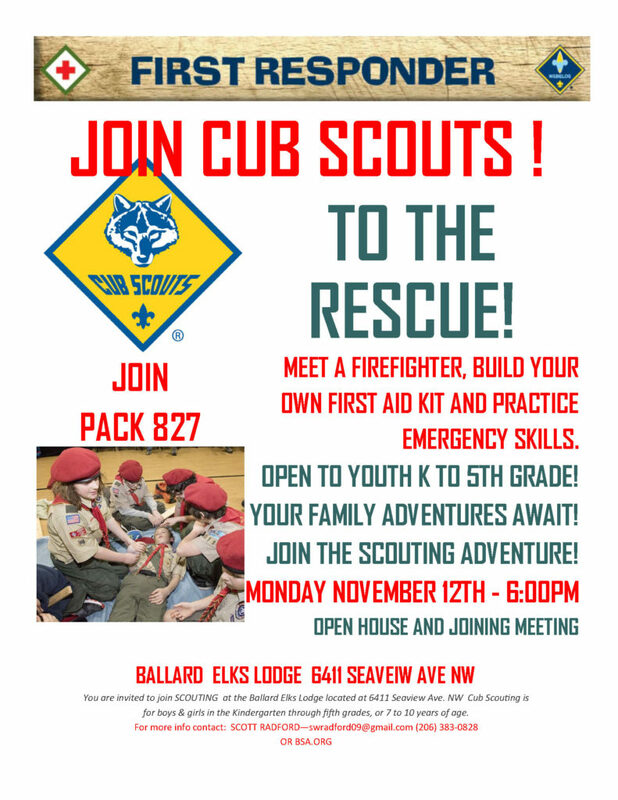 Call Mae at 206.284.7384 if you would like to volunteer. High School Volunteers welcome! Also at the Car Show, we need some people to help sell WA State Elks Raffle Calendars. 8 am – 2pm: 2-4 volunteers needed, can be shifts. Email Susan at books@ballardelks.org to help with this. This is one of our biggest and most successful annual events, and takes a lot of volunteers to make it so awesome. From planning all the event details, to sorting the clothing being dropped off, to event set-up, to working the day of the event, to team leadership – there are MANY ways to get involved. Training is provided and leadership is encouraged. Come join the fun! Opportunities start now, with the planning committee, and go through October 7th, event day! If you are interested in getting involved, email volunteer@elksfrockswap.com. We will also have an online schedule and sign-up available soon! Each year our Lodge is responsible for selling a certain number of WA State Elks Calendar Raffle tickets. We are looking for a few people who can commit to one or two upcoming events, and a few who are willing to do the sports nights/weekends on a more regular basis just bringing out the tickets, mingling and selling. Susan also usually sets up outside of Bingo, Initiation dinners and other events. These would be a great opportunities to help her out, train and do a quick 30-60 minute stint to get comfy with it. Email Susan at books@ballardelks.org if you would like to help with this. Did you know that these monthly dinners are run entirely by lodge volunteers? Join the team who makes this classic lodge event happen! The current member volunteer is moving on and we need members who can cook the steaks, potatoes, etc. Ideally, we’d have a team of cooks to rotate through each month. Experienced and non-experienced welcome – we can show you the ropes! Must be available at 3:30pm. Food Handlers Permit preferred. 4:30pm-6:30pm Prep salads and condiments. Food Handlers Permit. 5:00pm – 8pm Set-up and serving. The crew then gets everything back in order and cleans the kitchen. This entry was posted in News & Publicity, Blog, The Lodge, Members on July 20, 2018 by Brad Hole. 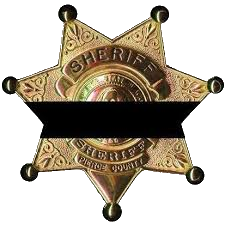 Deputy Daniel McCartney was shot and killed by what was thought to be burglary suspects in Pierce County early January of this year. Deputy McCartney was a proud Navy Veteran of six years serving in Everett on the air craft carrier Abraham Lincoln as an Electronics Technician. As the Veteran’s Chairman, I attended our January lodge meeting, just after the shooting, and asked our lodge members if we could donate to the McCartney family, utilizing our Veteran’s Committee funds that we’ve worked to establish. My motion was immediately amended by a fellow member to donate 5 times what I was asking for and unanimously approved by the lodge floor! I then contacted the Pierce County Sheriff’s Office about presenting this check from the lodge and a date was set to meet with them. Two days after the Lodge meeting, I went to my Veterans of Foreign Wars meeting in Renton and told them that I collected a $500 donation from the Ballard Elks and my Post said, “They’re not even a Veterans organization; why are they donating?” This, of course, gave me the perfect opportunity to talk about what the Elk members do and what our mission is as the Benevolent and Protective Order of Elks of the United States of America. To not be outdone, the Veterans of Foreign Wars quickly voted to also match our Elks donation of $500, so I now have $1,000 to bring to the Peirce County Sherriff! 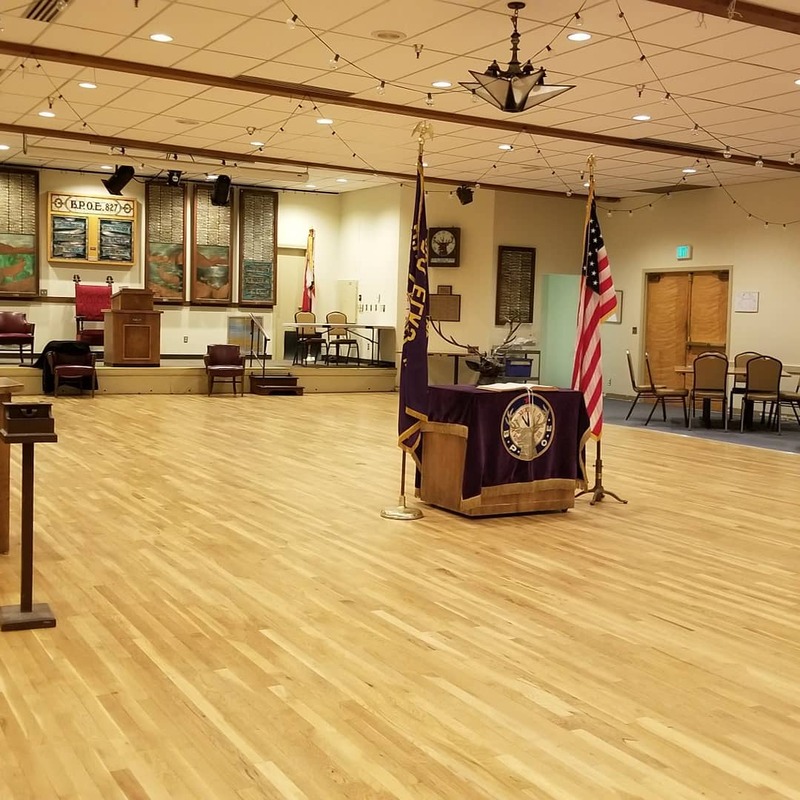 That following week, I went to a VFW meeting in Everett; told them the story as part of a report I was giving as a State Officer, and to not be outdone by “An ELKS lodge?!? !” and the Renton VFW, they too voted to match our donation and they handed me a check right then for $500. Now, that’s $1,500!! The following week, I went to our VFW State Convention that focused on Youth Essay winners. At the awards dinner, one of the Everett members came up to me with someone else and said, “She’s the one taking donations.” This biker (full leathers and all) said, “Don’t tell them where you got this” and handed me $100 cash! That’s $1,600 to the McCartney family that they otherwise wouldn’t have had if we, as a lodge, didn’t recognize the worth of our public servants, our first responders and their help for our community!! finally I had my meeting with the Deputy Chief of the Pierce County Sheriff’s Office and took the time to talk with him and share our story, specifically asking where the money would be best put to work. With tears in his eyes it was decided to donate to the fund that “paid the bills” associated with the funeral itself. Unbeknownst to me, the family has to pay for a majority of all costs associated with the full funeral. The Deputy Chief teared up when I handed him the money, saying the family so appreciates the outpouring of support from organizations like ours. It was obvious how much Deputy McCartney will be missed by his family; family in blue; and community at large. I’m sure our token of appreciation went to great use!! Thank you for not hesitating to help when asked and thank you for letting me be your Ballard Elks Lodge #827 Veterans Committee Chairman. This entry was posted in News & Publicity, The Lodge and tagged Deputy Daniel McCartney on February 15, 2018 by admin. 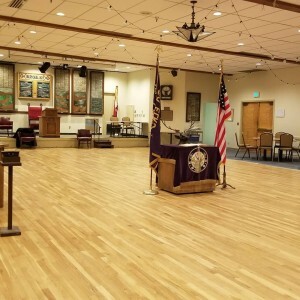 Ballard, WA: Past Exalted Ruler night was amazing at the Ballard Elks Lodge #827 last night, February 13th. Grims Gislason, Past Exalted Ruler, sat in as Exalted Ruler, Anthony Gibbs, Past Exalted Ruler, sat in as Esteemed Leading Knight, Joe Tiffany, Past Exalted Ruler, sat in as Esteemed Loyal Knight and our recently departed Bill Chandler, Past Exalted Ruler, sat in memory in the position of Esteemed Lecturing Knight and was part of his lodge of sorrow as read by the Past Exalted Ruler Grims Gislason. 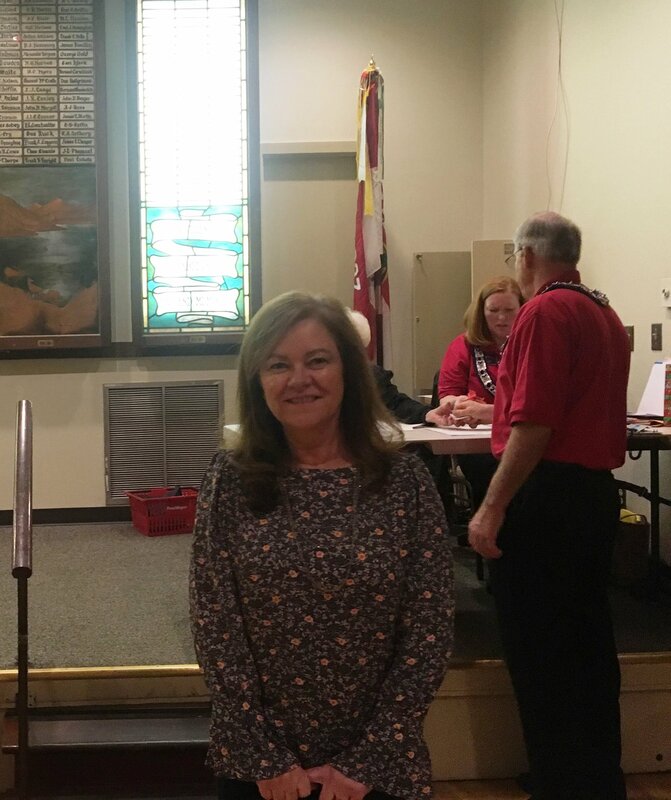 , 47 Elks National Foundation recurring donor award pins presented, 3 Grand Lodge Grants were approved, exciting committee reports were made and the evening culminated with a member winning the Jackpot of $827! And not just any member, this member had just been initiated in January and was at her first meeting! It pays to come to the meetings – it really does. In the middle of the meeting it was our Past Exalted Rulers time to accept nominations for our 2018/2019 officer positions. Although many members respectfully declined being nominated to chaired and trustee positions, deferring to personal constraints, the lodge was able to get people nominated for all positions but one. Please consider stepping up to help your lodge by being an officer. Your background, views and opinions are needed to help this small group keep our massive organization moving forward. Come help with a committee if you don’t have the time to dedicate to be an officer. Every little thing you can do will help your fellow member and your lodge. 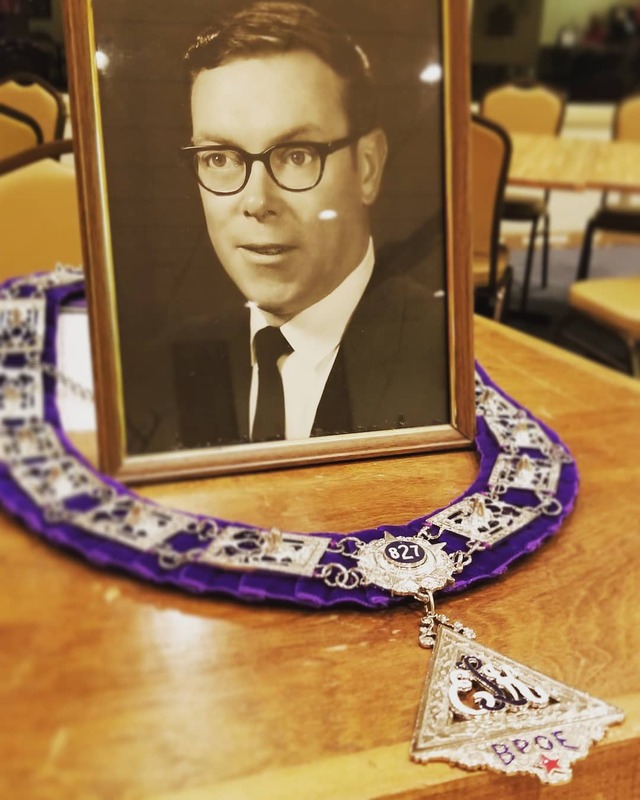 Know that there is a Grand Lodge citation that our lodge can apply for if, and only if, we don’t have a Past Exalted Ruler in an elected or appointed position – and we would love to apply for that citation. Our Past Exalted Rulers will jump to fill a position left vacant because they each know that without a full governing board the task of running this lodge multiply’s and can become unmanageable. These members have already put in their time and heart for our lodge, let them step back, guide and help the lodge officers through an active Past Exalted Rulers Association. Your lodge needs you. So to recap – The lodge meetings are cool, people have fun, great things happen and you, our members direct our lodge for the future – and could walk away with $827 real American Dollars! See you on February 27th to help welcome a possible 80 new candidates into our order – yes we have 80 people that should be eligible for initiation on February 27th. 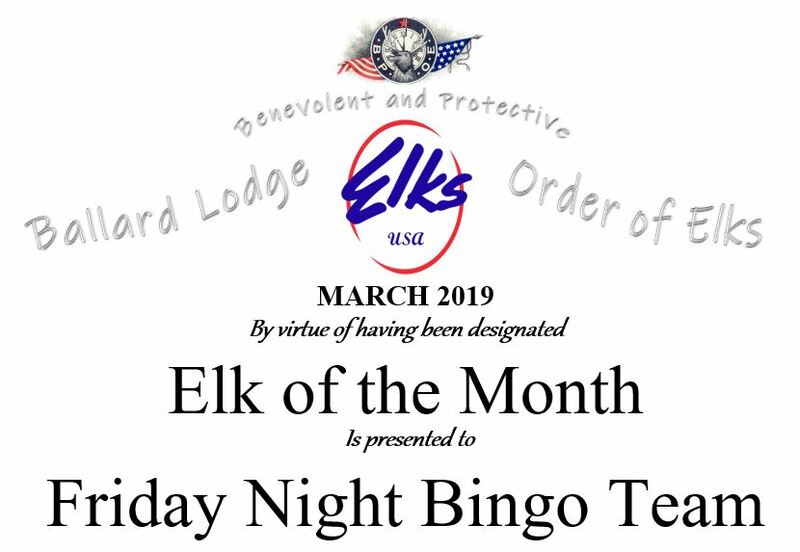 This entry was posted in News & Publicity, The Lodge and tagged Ballard Elks on February 14, 2018 by admin. 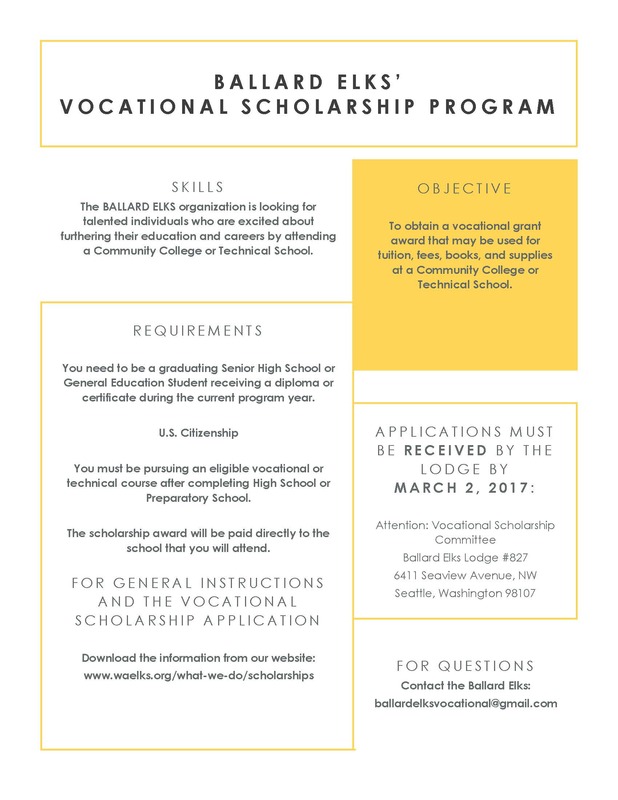 The Vocational Scholarship Committee is excited to offer two students (one male, one female) who are graduating high school or receiving their GED this year each a vocational scholarship of $1,000 or more. The scholarship is to help with tuition, fees, books, and materials from a vocational program. Vocational programs can include nursing schools, technical schools (culinary arts, massage therapy, office management, fashion design, etc.). The top applicants for these vocational scholarships will also be given a chance to win additional vocational scholarship funds at the state level. This is the first year that the Ballard Elks Chapter is offering a local vocational scholarship, designed to help students who are seeking an alternative to traditional college education and can benefit from funding support. In early January, the committee reached out to several Seattle high schools and provided information to share with students. 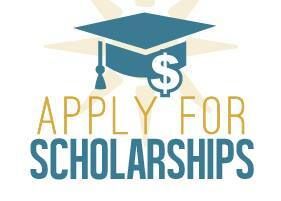 We look forward to receiving applications and awarding the scholarships this spring. If you know a student who is interested or has questions about the scholarship, please contact: Melissa Day at ballardelksvocational@gmail.com. Note: applications are due at the Ballard Elks Lodge by March 2, 2018. This entry was posted in News & Publicity, The Lodge on January 11, 2018 by admin. Congratulations to everyone that has received a membership award. 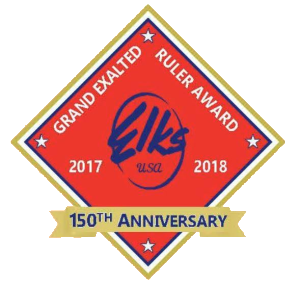 At just 2/3rds of the way through this Elks year we have a few members on the verge of earning their 11 new initiate member watch, 26 members bringing in over 3 new initiates, another 24 members that are on the cusp of earning a membership pin with 2 new initiates and over 200 members have brought in one new initiate. With your help the power of our lodge to pursue benevolent activities in our community continues to grow and grow – Than you for your help. 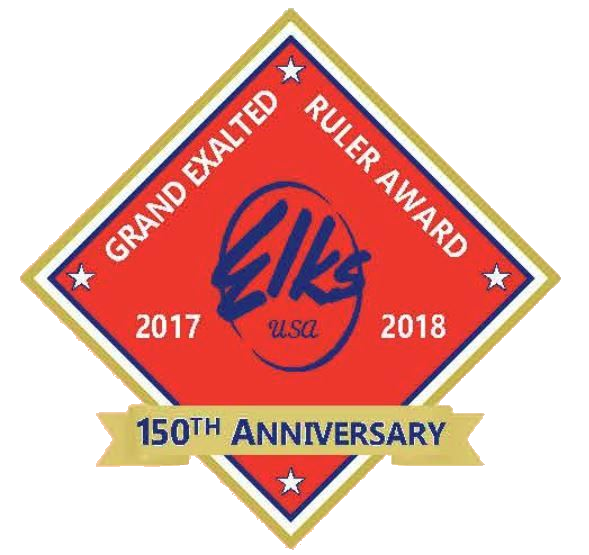 This entry was posted in News & Publicity, The Lodge and tagged Grand Exalted Ruler Membership Award, Membership Award, Elks Membership Award on December 27, 2017 by admin. Hoop Shoot November 18, 2017! 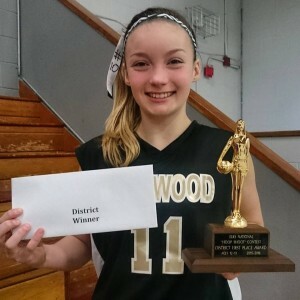 It’s time to start thinking about the Hoop Shoot Competition! 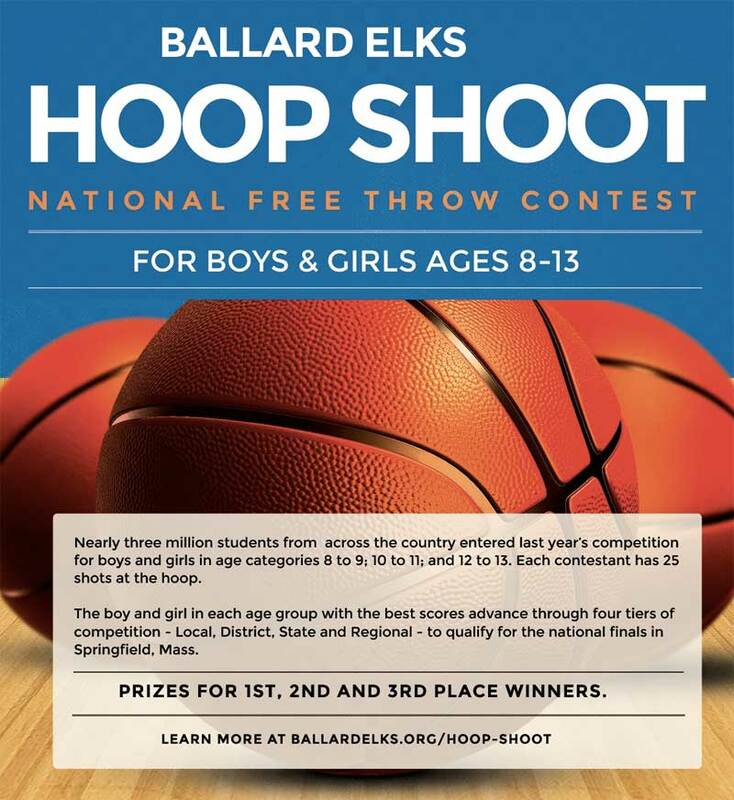 Ballard Elks Lodge members Cindy Olsby, Katrina Sigurdson & Sylvia Olsby are getting things organized to do a hoop shoot on November, 18th 2017 at the Ballard Boys and Girls Club and have our winners ready to attend the North District competition on January 6th, 2018! This entry was posted in News & Publicity, The Lodge and tagged Hoop Shoot on October 14, 2017 by admin.